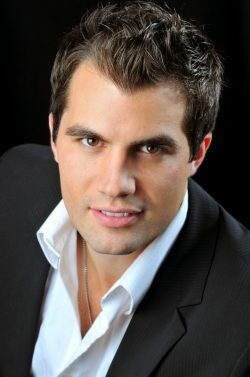 Establishing himself as a successful performer in opera, oratorio, and musical theatre repertoire, tenor, Gennard Lombardozzi has been heard on stages throughout the United States, Europe and Asia. Some of his roles include Tamino in Die Zauberflöte, Tonio in La fille du régiment, Almaviva in Il barbiere di Siviglia, Camille in The Merry Widow, Rodolfo in La Boheme, Edgardo in Lucia di Lammermoor, Tito in La clemenza di Tito, Fenton in Merry Wives of Winsor, and Ernesto in Don Pasquale. Gennard has performed with Gotham Chamber Opera, Virginia Opera, New York Festival of Song, Sugar Creek Opera, The Glimmerglass Festival, Alba Music Festival, Knoxville Opera, Lyric Opera of the North, Opera in the Heights, Central City Opera, New York Grand Opera, Rimrock Opera, Fargo-Moorhead Opera, Taconic Opera, The Hollywood Film Orchestra, Mineola Choral Society, The Occasional Opera Company, and others. In parallel to his notable performance career, Gennard has also established himself as accomplished educator. He currently holds the position of Opera Director and Assistant Professor of Voice at Appalachian State University in Boone, North Carolina.